Remember those bangles made from a Pringles can that I featured a tutorial on recently? 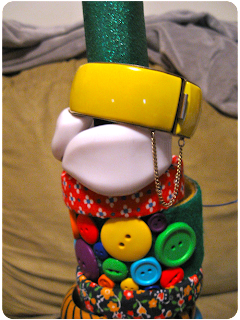 Well, it turns out making them is kind of addictive. 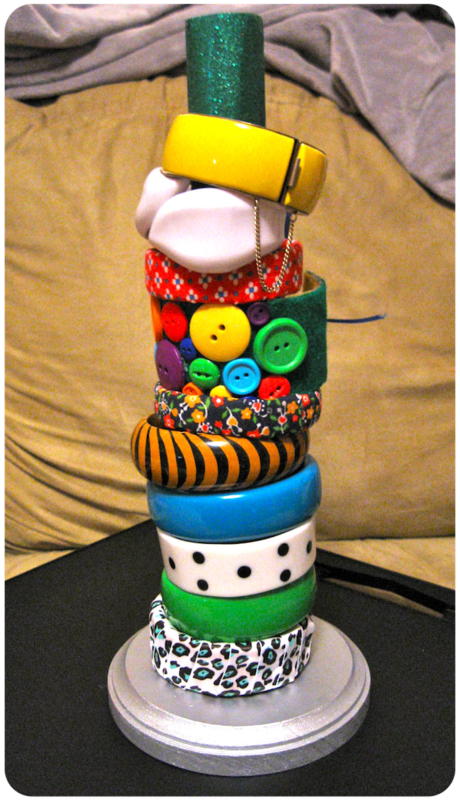 Only one problem: bangles are kind of a pain to store. 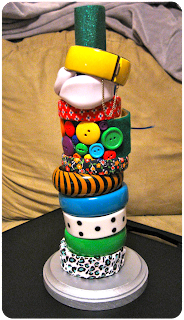 Solution: a handy DIY bangle holder! 1. 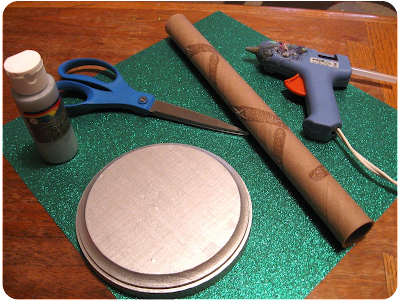 Trace the top of your roll on your decorative paper and cut out the circle, leaving a 1/4" border. Got glue this circle over one end of the roll and secure the border with more glue. 2. Measure your roll against your decorative paper and trim paper to fit both the height and circumference of the roll. 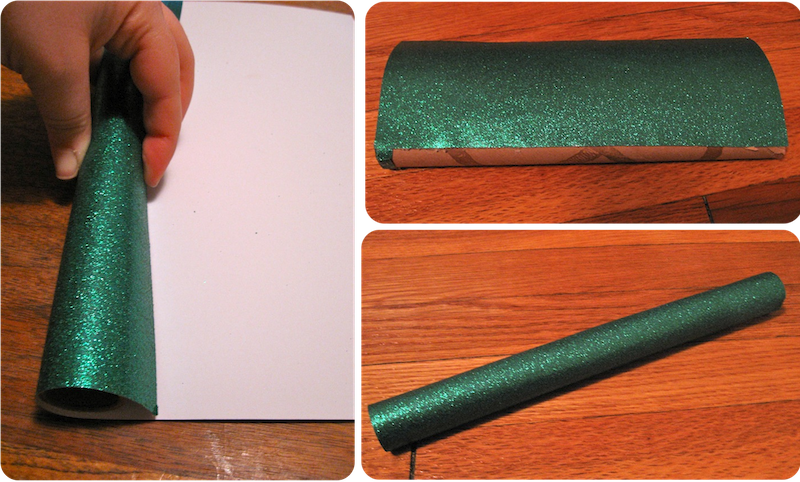 Hot glue the paper onto the roll. 3. Paint or decorate your base piece if desired. I painted mine silver. 4. 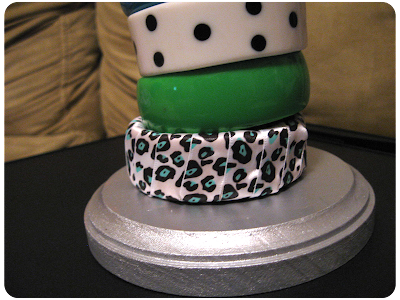 Glue your covered roll in the center of the base, holding it in place until dry and set. You can also add a line of hot glue around the perimeter of the roll where it meets the base and cover with ribbon, a string of craft pearls or whatever you like to conceal this seam.